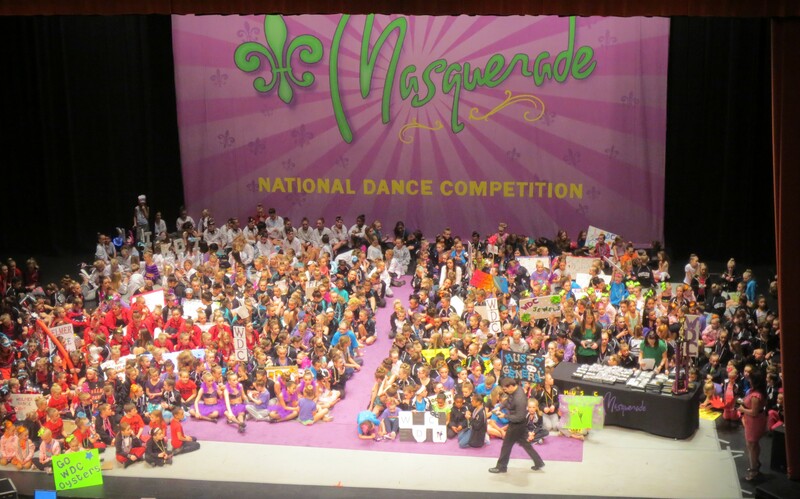 This past weekend was the Masquerade Dance Competition for the Lake Area Dance Angels. This was the 3rd year Grace competed at this competition. It’s been a favorite every year. This year, it seems as though they did their schedule differently. I’m not sure if it was actually different, or if I just didn’t notice in the past. What I do know, is that it was a LONG day! Grace’s first dance of the day was scheduled at 11ish. They were a little ahead, so it was more like 10:30 am when she danced. Her last dance of the day was scheduled for 8 something pm, but awards weren’t until about 10:30 pm or so. It ended up that we were there for about 14 hours. I don’t know how the dance teachers do those long days over and over, weekend after weekend. Because we had some dancers that were entered at the Elite level, our studio competed at the Burnsville Performing Arts Center (PAC) rather than the Hopkins High School Auditorium we were at last year. We love this venue for competitions because of the spacious lobby areas, large auditorium, and beautiful courtyard. There is a Subway nearby, and usually they have subs catered in. By the time we purchase them from the concession stand, the subs are often soggy. The convenience makes them worth purchasing in a time crunch. This year, they had hoagie style subs (not by Subway). They also had salads for sale. We still opted to walk over to Subway, but the sandwiches they had looked pretty good too (not soggy). In the evening, they sold wine, bottled beer, and mixed cocktails. 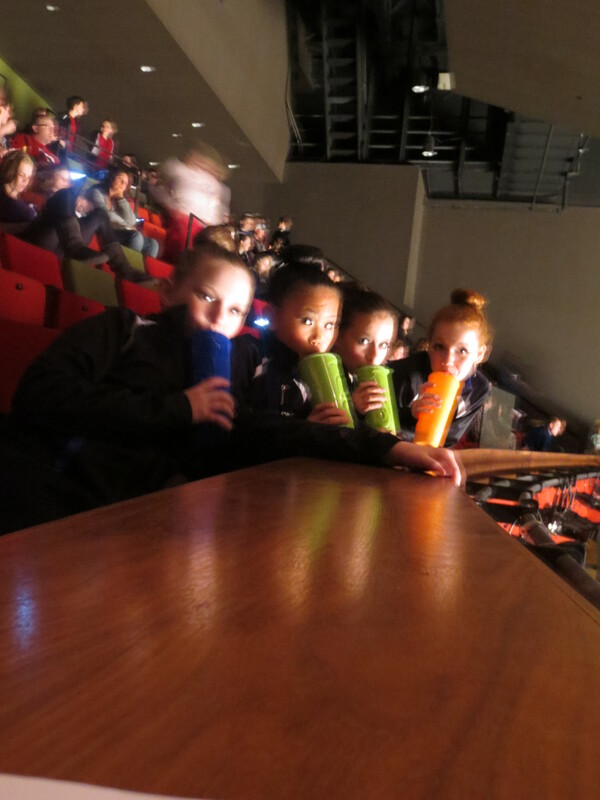 This was the first time I had seen alcohol at a dance competition. There was also a booth selling Maui Wowie smoothies. I made a deal with Grace that if she successfully completed a move in her jazz dance that she’s been struggling with, that I would buy her a smoothie. Each smoothie was made with banana. We did not realize that fact until we were up to the smoothie stand. Grace is allergic to bananas. They were nice enough to make her smoothie without banana, but did not rinse out the blender in between. We told her that was probably ok, since there would be such a small amount of residue in the blender. This turned out to be a mistake. By the end of the night, Grace’s tongue felt swollen, and her mouth was itchy. From now on, Benedryl will be in our Dream Duffel at every competition! I mentioned that the schedule was done differently. Dances were divided up by the style of dance. Each dance style was ordered from petite (under age 8) recreational through elite, then juniors (8-12) recreational through elite. The day started out with some solos, duets and trios. Then, all the ballet dances went, then all the tap dances, then musical theater. Then there was a break with some awards being given. After awards, which for our girls only included adjudication, not placement, came the petite elite duo/trios, then all the lyrical dances, pom pom, and some petite elite solos. Next were all the hip hop, Lines (think SUPER large group), then all the jazz. Encore dances were announced, and the last solos of the day. Judging was tough, as always at this particular competition. During the first award ceremony, the girls were given a high gold for their tap dance. Not many platinums were given out across the board; the ones that were, were mostly all Elite Level dancers. They didn’t let this stress them out. 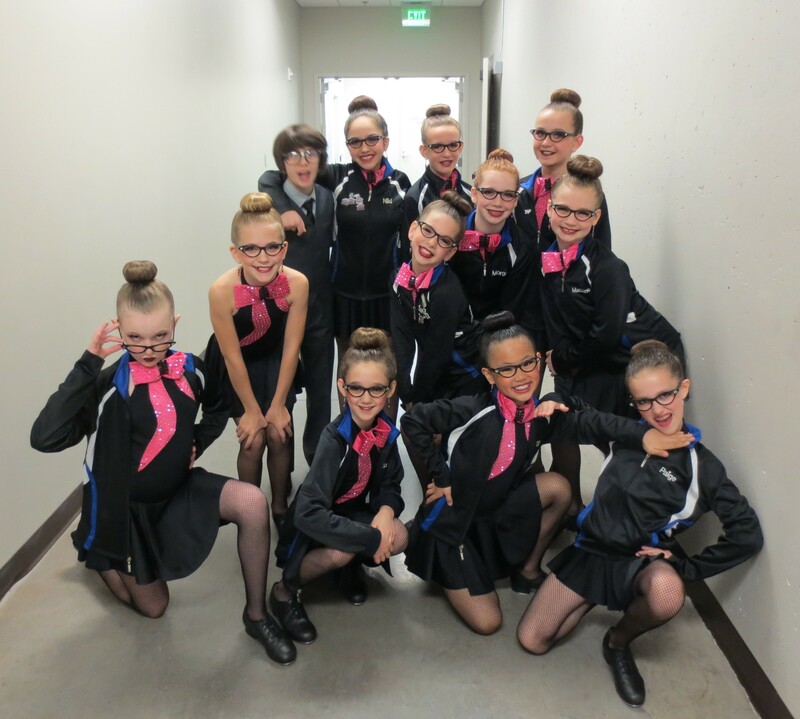 They performed their hearts out, and were awarded platinum for both their lyrical and jazz dances. They also were ranked 3rd place in the Junior Intermediate Large Group category for their jazz dance, and 1st place in the same division for their lyrical dance. They didn’t place with tap, but they had given it their all. The awards ceremony seemed to last forever. After what I thought would be the last announcement that would pertain to our girls (and Daniel), I headed back to the dressing room to gather all of our things. It was well after 11:00 pm, and we were wiped out. Soon after, the girls started coming in from on stage. They were all excited about getting first place. They were talking about their award for “being the best” with their lyrical. One of the girls said, “and then when they started playing our music, I couldn’t believe it! !” I stopped and said, “Wait, music? What? I didn’t hear the music.” Then they told me (pretty much all at once): “Yeah, when we got Best in Show!” WHAT?!?! I can’t believe I missed that announcement! 😦 Awesome for them though! Their lyrical dance got the top scoring dance of the day in the Junior Intermediate level! 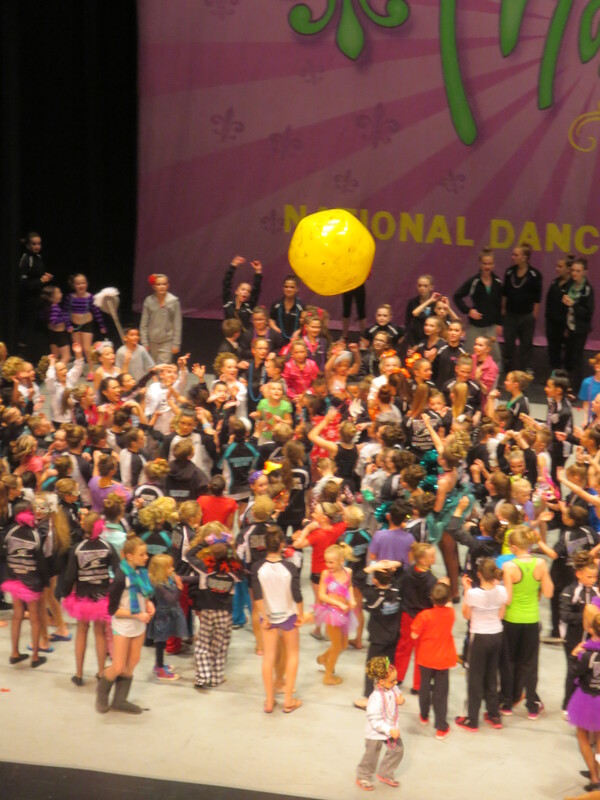 Several dancers from our studio were chosen for the Parade of Stars at Nationals. This is a huge honor that allows selected dancers to perform in the opening number at the Final Award Ceremony at Nationals during the summer. Our studio is attending the National Competition for Masquerade at the same venue this regional was held at. Nationals are in the summer. One thing I didn’t like about the awards ceremony: only the first place winners got to stand at the front of the stage. They bowed, and were sent back to their group. I definitely prefer when the entire placement order (or at least the top 3) all get to stand up there together, announce their studio, teachers, etc. The Masquerade “store” is always a popular stop. They always have colorful masks, sweatpants, pajama pants, lots of different styles of shirts (including the one that has the names of all the dancers on the back), jewelry, and so much more! Programs were for sale for only $7 – a great price, I thought! They also had a “city package” for only $55. It came with a program, pen (that also had a highlighter on the other end), a t-shirt with the names of all studios and their dancers, and any pair of sweatpants. **Something important I learned at this competition, prop helpers are NOT supposed to wear anything that has their studio’s names on it when they go on stage. The judges are only given the letter name assigned to each studio. In theory, they do not know which studio is which. Apparently, some competitions are VERY strict on this, and it can hurt the scores if the prop helpers give away the identity of the studio. Unfortunately, I did not know this rule when I carried the chairs on stage for their tap dance at the beginning of the day. I don’t think Masquerade is one that docks for breaking the rule.